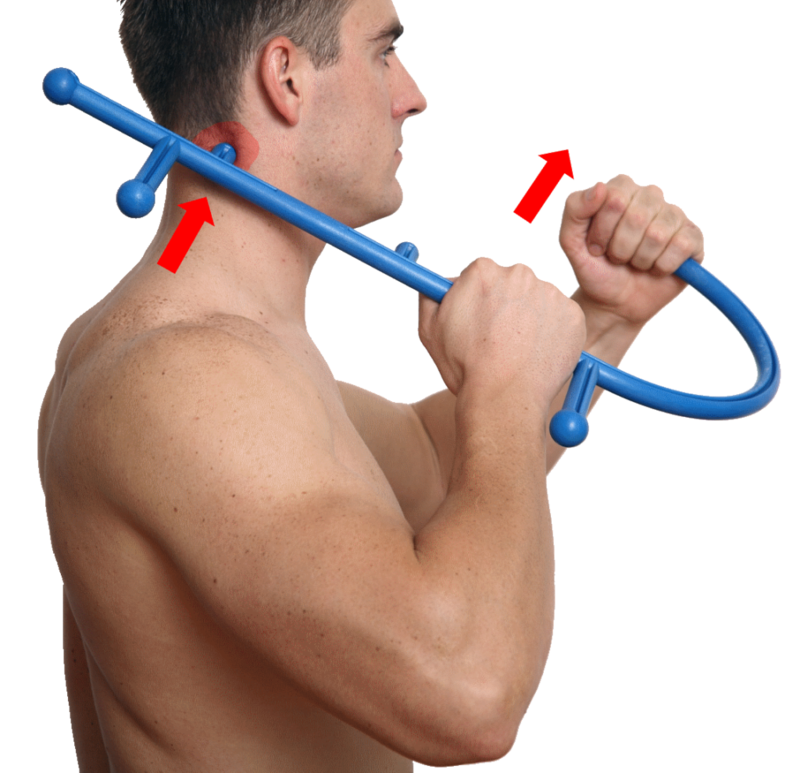 The triggerstick is the brainchild of a Durban based Chiropractor, Dr Francois Botha. 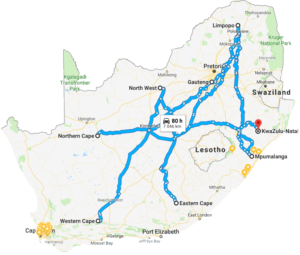 Dr Botha recognised the need for his patients as well as the general public to have access to a simple and effective way of relieving themselves of the aches and pains caused by muscular trigger points (knots). This device has now revolutionised the lives of many of his patients, friends and family.... and now YOU too can have one!! Q1: What is the triggerstick? 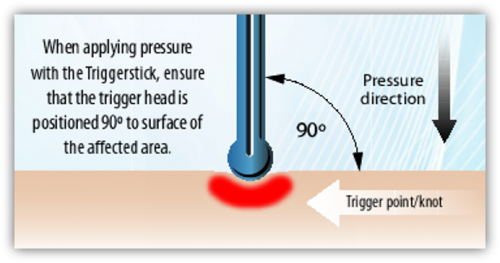 The triggerstick is a tool that allows you to gain access to trigger points that are difficult to locate and treat by ourselves. 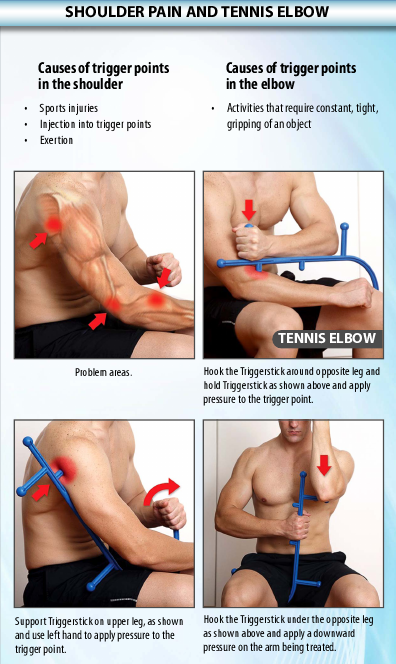 The triggerstick can be used in the comfort of your home or office and help provide effortless relief of the aches and pains accociated with muscular trigger points. The back is home to many muscles that work day in and day out to allow us to perform our daily activities. 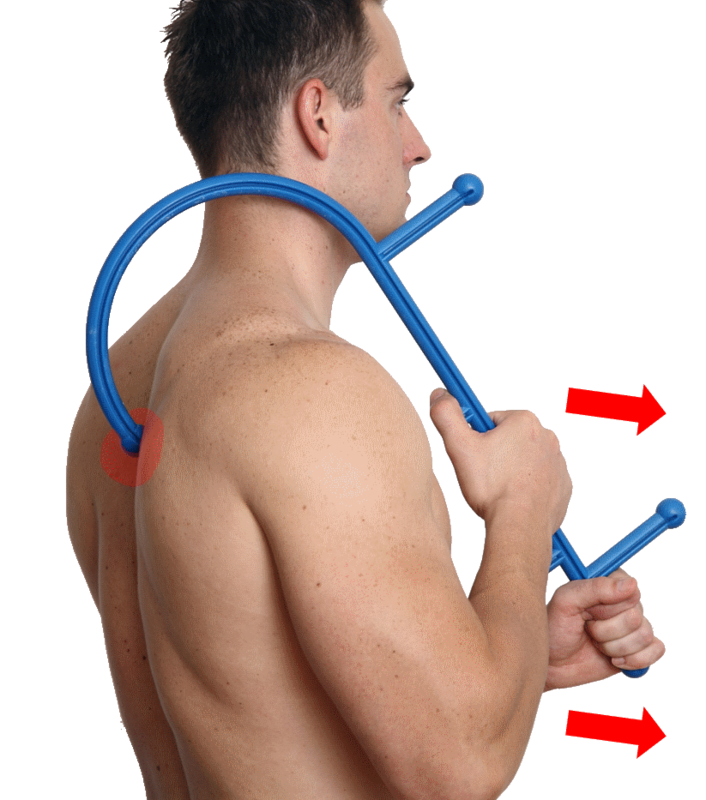 The triggerstick allows you to reach the trigger points in some of the most hard to reach muscles in the body. Q2: What is a trigger point? Infamously known to most people as a KNOT!! Trigger points are hyper irritable spots in muscles and are responsible for a large variety of aches and pains all over the body. These spots are associated with nodules that can be "palpated", or felt in the affected muscles. These spots can either be "latent", and produce pain and discomfort in a localized area around the trigger point, or they can be "active", and refer pain and discomfort into other areas of the body. 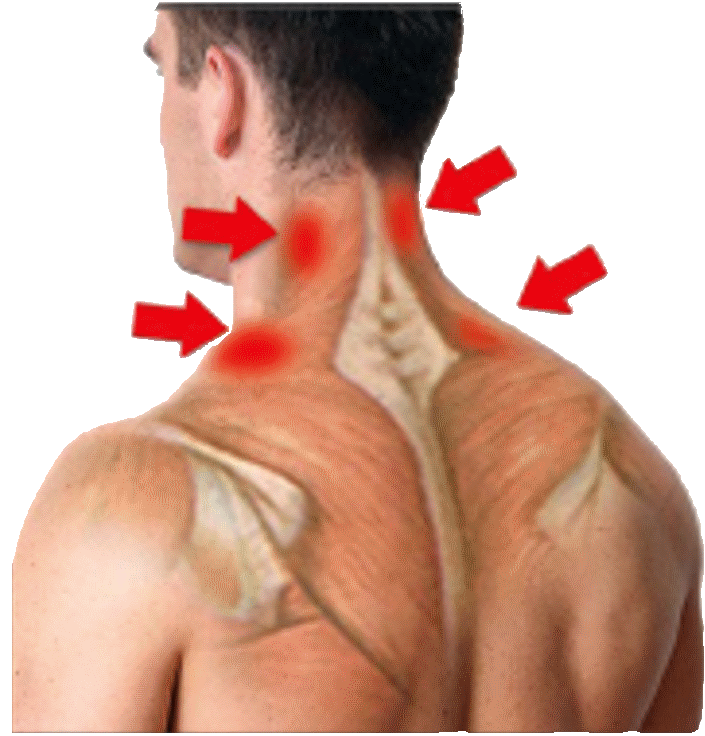 Trigger points are caused by a whole host of factors and include stress, poor posture, long hours in front of a computer, middle to long distance driving and certain sports that place strain on muscles. Q3: How do we get rid of trigger points? One very effective way of getting rid of trigger points is by Ischemic Compression. Ischaemic compression can be defined as the application of slowly increasing, non-painful pressure over a trigger point until a barrier of tissue resistance is felt. Contact is then maintained until the tissue barrier releases, and pressure is increased to reach a new barrier to eliminate the tenderness as well as the tension in the trigger point. (Travell, Simons and Simons 1999 1:8).In essence what this means is that we need to apply pressure to the tender nodules in our muscles. How exactly this is done will be discussed in Question 4 below. Q4: How do I use the triggerstick? 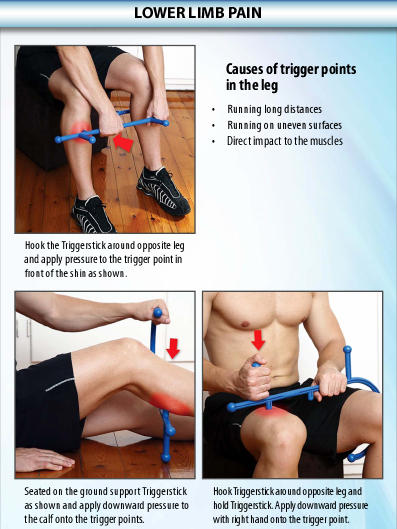 Below you will find simple diagrams which will show you a few of the common "problem" muscles that are known to contain trigger points, as well as how to hold the triggerstick in being able to access these trigger points.Once you have located the trigger point that you would like to treat simply follow the guidelines: Pressure needs to be applied to the trigger point, to a point where a mild discomfort is felt. Once the mild discomfort eases after a few seconds, pressure needs to be increased gradually to the point where the mild discomfort returns. After repeating this process a number of times the tension as well as the pain caused by that trigger point will start to dissipate. 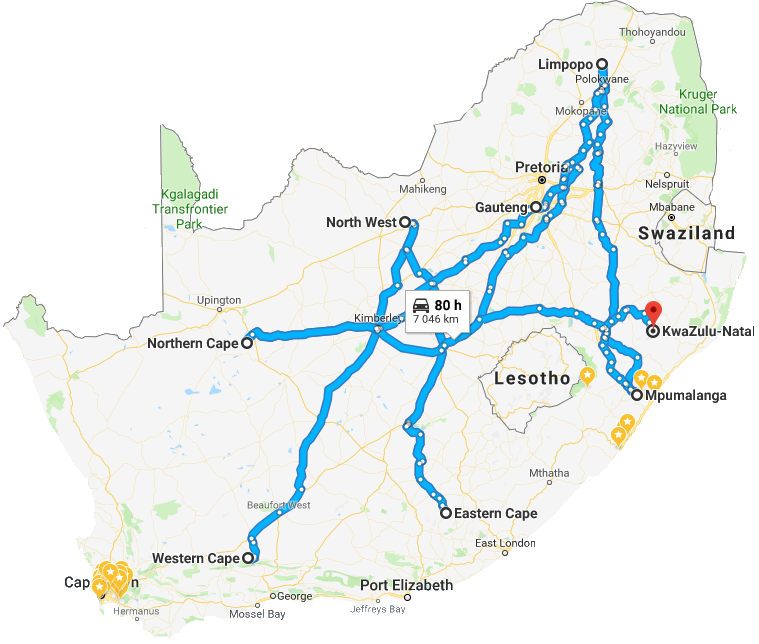 Which province would you like it delivered to? How Many Triggersticks would you like to order? How the Triggerstick has changed lives? Hear from our newest clients. I'm loving the Triggerstick! Works like a bomb especially when i don't have time to book my chiropractor. 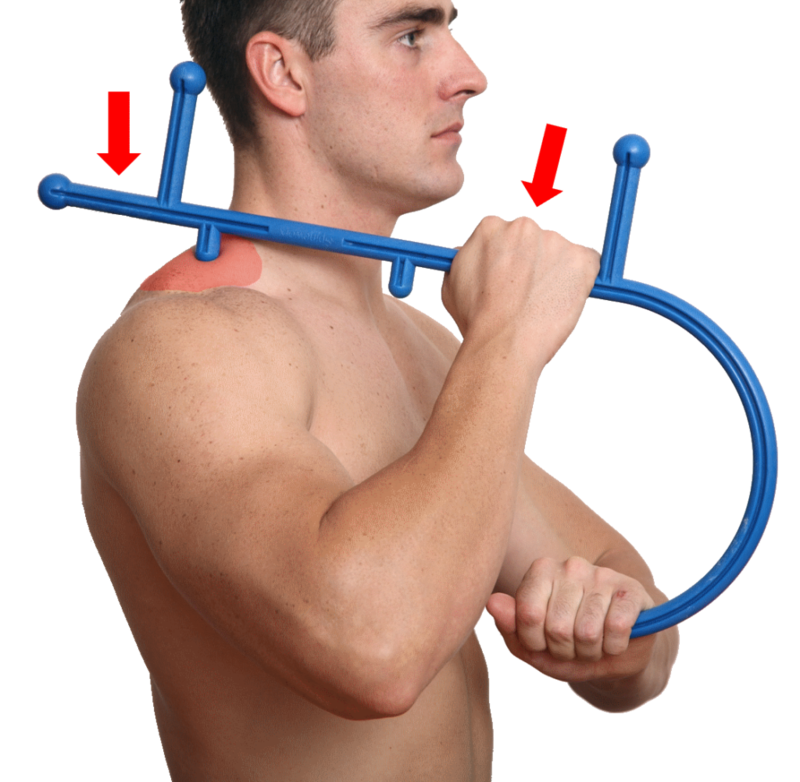 Really helps with my rhomboid muscles stiffness. I must say as a masseuse myself, this is an amazing invention! I'm very happy with it! I play league badminton so use it quite often when i am sore, or when i have a knot in the back, shoulders or neck. Mon - Fri: 8:00 a.m. - 16:30 p.m.
Saturday: 8:00 a.m. - 11:30 p.m.